Our dear colleague & friends, Debbie & Ernest McCoslin lost their home in a fire tonight, along with everything they own. They also lost their 4-legged fur babies in the fire. This has been complete devastation and they have nothing but the clothes on their back. Please help donate to help them begin to rebuild with any essentials they may need day to day and going forward. Any amount helps! Please say a prayer for them and thank you in advance for anything you can do to help! The funds will go directly to Debbie & Ernest to use at their discretion for any of their needs during this difficult time. 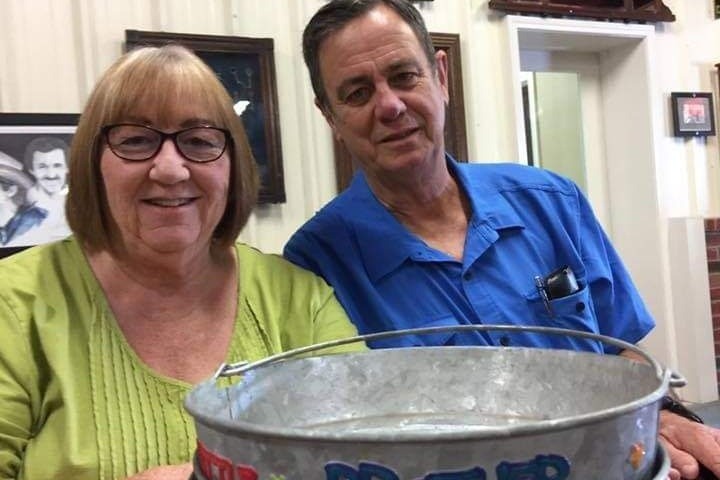 Picture of Debbie and Ernest McCoslin from their GoFundMe Page. The Sealy News is also reporting that Austin County State Bank has extended their Sealy and Bellville offices as drop-off locations for donations both monetary and otherwise.